Under pro rules, a catch cannot be made with any part of the fielder’s body touching dead-ball territory (6.05a Comment). Thus, if he has any part of his body, including a foot, touching a dead-ball line he can make a catch providing no portion of the body or foot is in contact with the ground beyond the line. He may jump on top of a railing, or canvas that may be in foul ground. In all codes, a fielder may reach into a dugout and be held up and kept from an apparent fall by a player or players of either team and if the catch is made, it shall be allowed. If such a fielder is interfered with by an opponent, the batter is out and no runners may advance. A fielder may also enter dead-ball territory and re-enter live-ball territory to make a catch. If he does that he must comply with the requirements mentioned above. In pro, he must get back into live-ball territory with no part of his body touching dead-ball territory. Status of the ball. Under pro rules, the ball remains live unless the fielder falls (loses body control). If however, the fielder makes a legal catch and goes through or over an outfield fence, the ball is immediately dead even if the fielder lands feet first (5.10f, 7.04c Comment). A player may stumble, lean on a dugout wall, be supported by players or spectators, or teeter on a railing without actually falling. If he intentionally slides or goes down to one or both knee(s), he has not lost body control. The ball remains in play and runners may advance at their own risk. A player’s status is a judgment call. When the ball becomes dead after a catch, the batter is out and runner(s) may advance one base. Throws. If it is possible for a fielder to enter a dead-ball area and make a throw from there, the ground rules should address whether such throw is permissible. 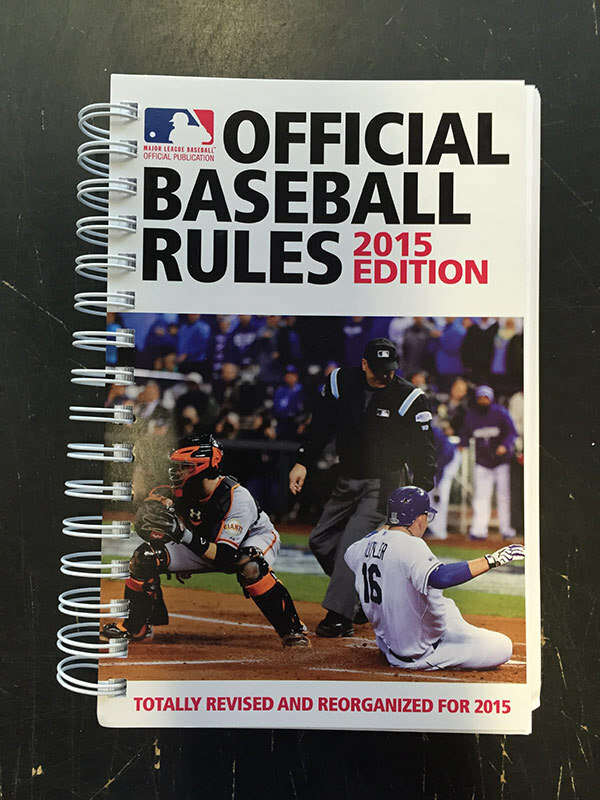 If the ground rules do not address that situation, a throw is not allowed. If the fielder drops the ball within the dead-ball area while in the act of throwing, the ball is dead and runners are awarded two bases from the time of the drop. 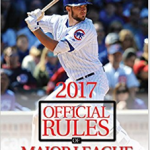 If the ground rules prohibit a throw and require the fielder to enter live-ball territory before making a throw, and the fielder throws from dead-ball territory or drops it there, the ball is dead and runners are awarded one base.